Access physical activity grades, report cards and other related documents from all Global Matrix events in which Zimbabwe has participated. To develop, validate and implement a national survey which will enable systematic surveillance of physical activity and the nutritional status of Zimbabwean children and youth. To collect data about the physical activity and nutritional status of Zimbabwean children and youth using robust methods and instruments. Establish Active Health Kids Zimbabwe as an independent and reliable advocate/custodian/authority regarding surveillance of physical activity and nutritional status on Zimbabwean children and youth. Taru Manyanga, Ph.D. candidateTaru Manyanga is currently a PhD Student in the School of Epidemiology, Public Health and Preventive Medicine at the University of Ottawa. He is based at the Healthy Active Living and Obesity (HALO) Research Group, Children’s Hospital of Eastern Ontario Research Institute. Taru holds a Bachelor of Medical Rehabilitation-Physical Therapy degree and a MSc. in Community Health Sciences from the University of Manitoba. His research interests include the measurement of, and cultural and geographical differences in fundamental movement skills, lifestyle behaviors and obesity among children and youth. He is a member of the following organizations: college of physiotherapists of Ontario; African Physical Activity Network, Sedentary Behavior Research Network, Canadian Coalition for Global Health Research, Canadian Child Health Clinician Scientists Program, Canadian Obesity Network-Student and New Professionals (CON-SNP); and is co-chair of the Ottawa chapter of CON-SNP. Daga Makaza, Ph.D. candidateMr. 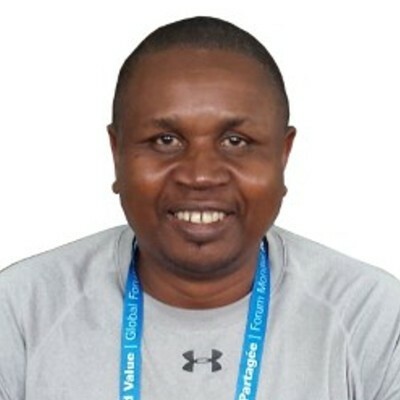 Daga Makaza is lecturer in the Department of Sports Science and Coaching, Faculty of Applied Science at the National University of Science and Technology (NUST) in Zimbabwe. He is currently a PhD candidate studying Nutrition Education and Physical Activity in primary school children. He is the coordinator of the Health and Wellness Research Group within the Research and Innovation Department at NUST. 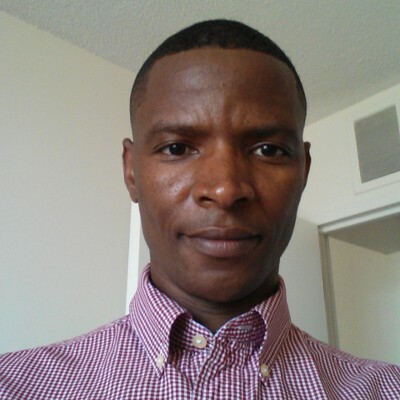 He has been a project leader for two major national surveys on youth and children (Knowledge, Attitudes and Practices Survey: Olympism in Zimbabwe, 2012 and the Zimbabwe Nestle Healthy Kids Survey, 2015). Mr. Makaza is an external examiner of physical education at teachers’ colleges in Zimbabwe, focusing on curriculum review, question paper moderation, academic and practical examinations. He has also contributed on the Physical Education syllabus development national panel for the Ministry of Primary and Secondary Education. He is an active member of the Global forum for Physical education Pedagogy (GoFPEP). He has reviewed physical education modules for the Department of Teacher Education (DTE) at the University of Zimbabwe. He is currently co-leading the effort to establish Active Healthy Kids Zimbabwe (AHKZ). His research interests include Nutrition and Physical Activity, Kinanthropometry and ICT Pedagogy. Mr. Makaza has published 17 articles in peer reviewed journals and has presented at several local and international conferences. Introduction: The present report card builds on the first one developed in 2016. 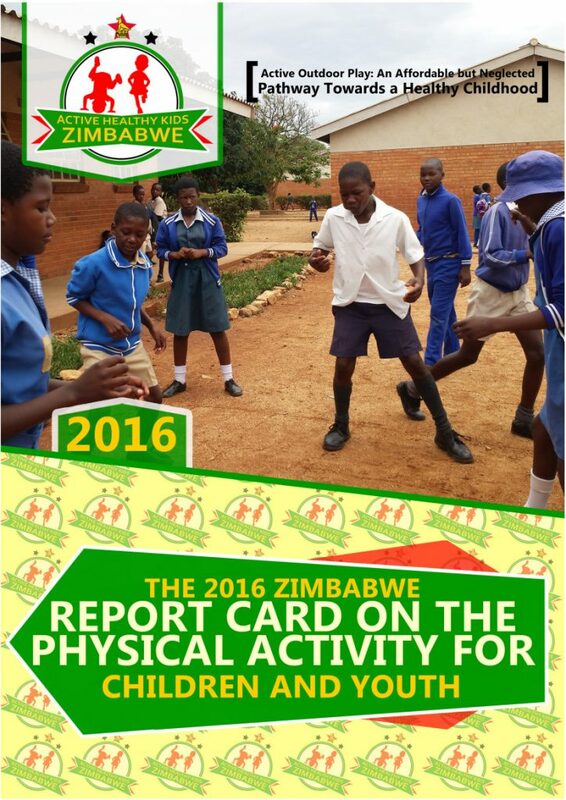 It summarizes the best available evidence on the physical activity of children and youth in Zimbabwe. Methods: Published, unpublished studies and policy documents reporting on physical activity and related behaviors for 5-17-year-old children were gathered and summarized into a bibliography and excel spreadsheet. Guided by Active Healthy Kids Global Alliance’s benchmarks, members of the Report Card Working Group individually assigned grades for each indicator. Individual members’ grades were collated, and discrepancies were noted. Grades for each indicator were converted to a numerical value using a common score. Discrepancies among members’ grades were reconciled (median score selected) at a grade assignment meeting. Results: Overall, grades for behaviours (physical activity, sports, active play, transport and sedentary time) did not change from the 2016 Report Card owing to non-availability of new literature. There were improvements in grades for supports (school, community/built environment, government strategies) largely due to policy implementations and commitments made to promoting physical activity among children. Community infrastructure resuscitation, allocation of financial resources and the new curriculum allotting time and examination of physical education in schools were noted as targeting physical activity among children. There was insufficient evidence to accurately assign grades for Physical Fitness and Family and Peers. Grades assigned for each indicator are presented in the table below. Conclusions/Recommendations: There is limited, and mostly unpublished research evidence on the physical activity among children in Zimbabwe. Overall physical activity levels for Zimbabwean children are lower than desired. Robust research using nationally representative samples, persistent advocacy and stakeholder engagement is needed. To urgently conduct robust research using representative samples, which will provide accurate estimates on levels of key indicators of Physical Activity among Zimbabwean children and youth? Creating and disseminating simple and accessible public health messages reinforcing and encouraging active transportation and active outdoor play as important contributors to overall physical activity among children and youth. Establishing an independent advocacy organization to develop strong, long lasting and mutually beneficial relationships/partnerships with key stakeholders (i.e. relevant government ministries; not-for-profit organizations; funders etc.). Partnering the relevant ministries of: Health and Child Welfare; Sports and Recreation; Primary and Secondary Education to develop and implement an evidence-informed national physical activity promotion strategy. Partnerships with like-minded corporations (e.g. Nestle Zimbabwe) to evaluate or enhance programs already implemented to encourage mass participation in physical activity among children and youth. Background: The report card is a synthesis of the best available evidence on the performance of Zimbabwean children and youth on key physical activity (PA) indicators. 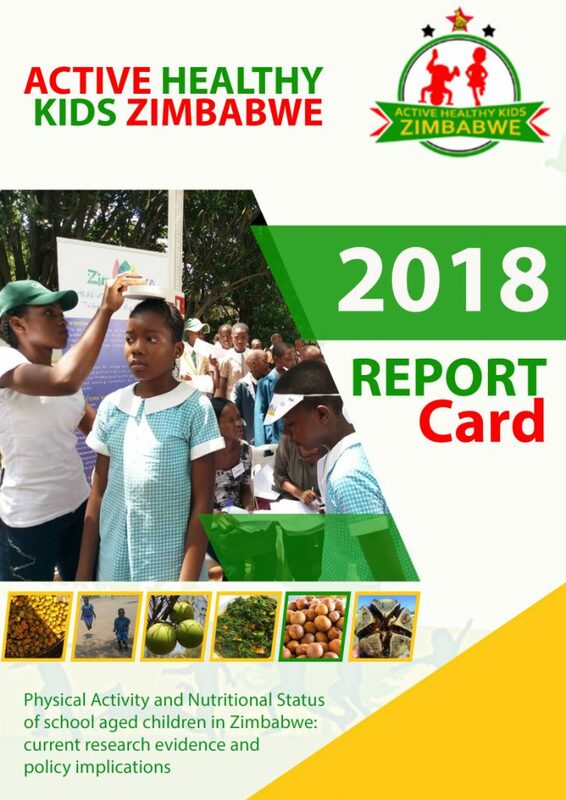 The aim of this paper was to summarize the results from the 2016 Zimbabwe Report Card. Methods: The Report Card Working Group gathered and synthesized the best available evidence, met, discussed and assigned grades to 10 indicators based on the Active Healthy Kids Global Alliance global matrix grading system. Results: A little over half of Zimbabwean children and youth met the recommended amount of daily PA thus a grade of C+ for overall PA was assigned. Grades for 7 other indicators ranged from A- to F and 2 indicators were awarded incomplete grades due to insufficient or no data. Conclusions: Although the majority of children used active transport, played organized sports and engaged in acceptable levels of PA, most of them did not meet the recommended hours of unstructured/unorganized play per day. Studies with robust research designs and representative samples are needed to better inform future Report Cards. Zimbabwe also needs to prioritize policies and investments that promote greater and safe participation in PA among children and youth.